Passed away on June 28, 2018, age 92, formerly of NE Philadelphia. Sister of the late Sophie (Gregory) Hondros and Cathy (Edwin) Anderson. Survived by 2 generations of loving nieces and nephews. Relatives and friends are invited to her Viewing on Monday, July 2, 2018 at 10 AM at the St. John Chrysostom Albanian Orthodox Church, 237 N. 17th St., Philadelphia, PA 19103. Funeral Mass 11 AM. Interment Ss. Peter and Paul Cemetery. In lieu of flowers, contributions in Lilly's memory may be made to her St. John Chrysostom Albanian Orthodox Church at the above address. Michael 56 of Philadelphia is survived by sisters Helen Theokary, Andonetta Theokary and brother Ralph Theokary. Also survived by nieces Jennifer, Vanessa, Christina Theokary and Sophia and Athena Morales, nephews Anthony Theokary and Andrew Morales. He was predeceased by his father Athanas R. and mother Sofia, and brothers Vani "John" Theokary and Nicholas Theokary. Michael was a loving friend, son, brother and uncle. Graveside services will be held Friday, June 15, 2018 at Lake Park Cemetery, 550 Park Ave., Swedesboro, NJ 08085 at 1pm. In lieu of flowers, contributions to Michael's Funeral Cost "GoFundMe" please go to gofundme.com/help-with-michael039s-funeral-cost to assist with final expenses would be greatly appreciated. Passed away surrounded by her loving family. Sister of James (Paula) Bendo. Beloved aunt of Michelle, Alexandra, Marc, and Andre. Great aunt/Yaya of 10. Preceded in death by parents Kosta and Klanthi, brother Pascal (Sophie), and nephew Gregory. A loving friend to everyone she met. Being the great spirit she was, she was always kind and willing to help anyone. Never down, she always had a smile on her face and quick to share her fun personality. Her funeral service will be Thursday, February 1, 11 am at St. John Chrysostom Church, 237 N. 17th St, Phila. Pa 19103. Viewing: one hour prior to service in the church. Interment: Fernwood Cemetery. In lieu of flowers memorial contributions may be made to the church. Pandeli is predeceased by his wife Mary. Survived by his children William (Margaret), James (Elaine), Linda (Alfred D'Iorio), and Diane (Steven Coraluzzi). 8 grandchildren -(including our own Michele and Adam Coraluzzi) and 9 great grandchildren. Also survived by his sister Dhorka (Miss Dorothy to those at St. Johns) and predeceased by his brother Alexander. 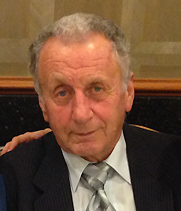 Pandeli was a lifelong parishioner and very active at St. John Chrysostom Albanian Orthodox Church. He was also a past parish council chair. ARRANGEMENTS: Viewing this Saturday, December 23rd, 2017 at 10:00 am at St. John Chrysostom Albanian Orthodox Church, 237 N. 17th St. Phila, Pa 19103. The funeral service will begin at 11am. Interment will take place at Fernwood Cemetery immediately following the service. In lieu of flowers memorial contributions may be made to the church. Michael J. Cosmo passed away peacefully at home surrounded by his loving family. He was 68. Michael served as a combat medic in Vietnam, a Trenton homicide detective, and a loving husband and father. He is survived by his wife, Donna Dimitri, and his five children, Deanna, Alexander (Laura), Traci, Kristin (Stephan), and Steven (Michaela); and by his two grandchildren, Ryan and Megan. A memorial service and repast will be held at 6 p.m. Friday, Dec. 29, at St. John Chrysostom Albanian Orthodox Church, 237 North 17th Street, Philadelphia, PA 19103. Parking is available in the large parking lot across the street. Sotir Grabocka, 78, of Springfield, survived by wife, Olimbi Grabocka. Loving father of Petrika and Marjana. Beloved son of Petro and Thomaidha Grabocka. Survived by grandchildren Eda, Jorgeta, Olivia, and Enio and six great-grandchildren. He was born and raised in Vithkuq, Albania and moved to the town of Korce, Albania when he was 15 years old. Sotir finished high school as a technical engineer with outstanding grades. He got married to Olimbi at 28 and had a healthy marriage for 52 years. He worked as a director in a construction factory for most of his life and later he worked as a carpenter which was a profession he was skillful at. Sotir enjoyed long walks and his neighbors always remember him waving at them and greeting them with a smile. His passion was every kind of sport, especially soccer. He enjoyed the company of his friend Ilo Sheperi here in the United States. Sotir always reminded his family of birthdays, name days, anniversaries, etc. His family is always going to remember the stories he told from Albania, his smile, and his love for his grandchildren who were the main reason he came to the United States. Former prominent businessman in Philadelphia finance, passed away on July 27, 2017 from complications of Alzheimer's disease at the age of 84. He and his wife, Katherine Steffa, lived in the Philadelphia area for over 57 years. Tom was a devoted husband who cared for his wife at home during her 14 years of suffering from Alzheimer's. With his easy smile, warm sense of humor and sincerity he was a beloved father, grandfather and friend. A son of Albanian immigrants Tom grew up working in his family's restaurant, the Pilot's Grill in Bangor, Maine. He was a graduate of the School of Hotel Management of Cornell University and later served in the US Army where he rose to the rank of lieutenant. He received an MBA from the Wharton School in Philadelphia, where he began a 40-year career in public finance. At Butcher & Sherrerd his work helped to fund schools, universities, hospitals, nursing homes, highways and water systems. He rose to become the President of Butcher & Singer and Vice Chairman of Wheat First Butcher & Singer. He retired in 1995. Many accomplished and notable business people in the Philadelphia area received their start under his guidance and training. A long-time member of the Union League in Philadelphia, he also enjoyed socializing and playing golf with many close friends at Huntington Valley Country Club. He was active in many charities, notably the Alzheimer Association and Abington Hospital. He was especially committed to the St. John Chrysostom Albanian Orthodox Church in Philadelphia where he received the Medal of Honor from the Archdiocese for outstanding lifetime achievement. Tom is survived by his daughter, Jane Zoidis Quinn (Kevin) of Short Hills NJ; sons, Greg (Susan) of Minneapolis, Paul (Aleta) of Westfield NJ, and Mark of Berkeley CA; and 9 grandchildren. He is preceded in death by his wife Katherine, brother William and his parents Dorothy and Paul. Visitation will be held for family and friends Thursday, August 3, 2017 from 5 to 8 P.M. at CRAFT/GIVNISH OF ABINGTON, 1801 Old York Road, Abington, PA 19001. Funeral services will be held on Friday August 4, 2017 at 11:00 A.M. at St. Johns Chrysostom Albanian Orthodox Church 237 N. 17th Street Philadelphia, PA. In lieu of flowers, the family request donations be made to: St. Johns Chrysostom Albanian Orthodox Church 237 N. 17th Street Philadelphia, PA. 19103. Beloved husband of 50 wonderful years to Diane (nee Elia), father to Ted (Ashley), Michael (Denise), Kymberlee Haberman (Sandy), and Frank (Tammy). Grandfather to Patricia, Melanie, Gianna, Claudia, Constantine, Sophia, Savannah, Kylee, Cheyenne, and Raphael. He is survived by his sister, Barbara Salter (James). Ted honorably served in the United States Army during the Korean conflict (1953 – 1954). He was a member of North Hills Country Club for 36 years. Ted’s passion was for his family and shooting an 80 in a round of golf. He was the life of the party and always enjoyed sharing a good laugh with everyone and always had a drink in one hand and a cigarette in the other. 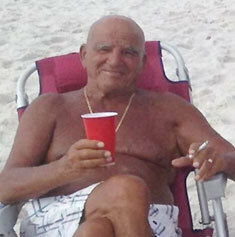 The past few years Ted resided in Naples, Florida where enjoyed life and his corvette. In lieu of flowers, donations can be sent to St. John Chrysostom Albanian Orthodox Church, 237 North 17th Street, Philadelphia, PA 19103. Viewing will be Tuesday, June 27th from 10am – 11am St. John Chrysostom Albanian Orthodox Church . Funeral service will begin at 11am and internment at Fernwood Cemetery immediately following the service. Paula Marie Kosta, beloved daughter and sister and cherished aunt, fell asleep in the Lord on Thursday, March 9, 2017. Paula was 53 years old and was predeceased by her parents Carol O’Hanlon Kosta and Philip Kosta. Paula is survived by her stepmother and friend, Linda Kosta, and siblings Lisa Bowser (Neal), Larry Kosta, the late Peter Kosta, and Stephanie Kosta (Thomas Highland). Aunt Paula was dearly loved by nieces and nephews: Drew, Kevin, Cassidy, Bridget, Ryan, Jimmy, Olivia, and Vivian. Paula was born in Philadelphia, on March 27, 1963. After spending her formative years in South Philadelphia, she and her mother moved to Atlantic City, where Paula spent many years working in the casinos. Paula had a passion for movies and for animals -- especially her many cats. After losing her mother, Paula left Atlantic City and moved to Morton, PA, to live with her father and her stepmother. It was there that she blossomed both as a health care aide for Values into Action and as an aunt -- spending time with her nieces and nephews brought her true joy. Calling hours and memorial service will be held Tuesday, March 21 at St. John Chrysostom Church, 237 N. 17th St., Philadelphia, PA 19103. Friends and family may call 5 pm to 6 pm. Services will be at 6 pm. Private interment. May Paula’s memory be eternal. In lieu of flowers, kindly donate to an animal rescue. 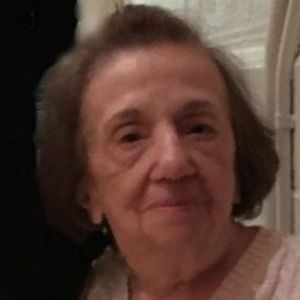 Andigoni “Andi” T. (nee Ticco) Steffa, 92, of Warminster, a chocolatier who personalized Easter eggs for Wanamakers and Strawbridge & Clothier department stores in center city Philadelphia each Easter for more than twenty years, died at her home surrounded by family. Mrs. Steffa, loving wife of the late Peter L. Steffa, M.D. and mother of Patricia L. Orphanos, Peter L., Jr., and Paulette M., grandmother of Anastasia Noll and Nicholas Orphanos, and great-grandmother of three, was born and raised in Jenkins, KY.
Mrs. Steffa graduated from Virginia Intermont College in June 1943. She worked in Bristol, Virginia before moving with her family to Philadelphia in December 1944, after the death of her father. Soon after, she became engaged to Capt. Peter L. Steffa, of the U.S. Army Medical Corp. They were married in September 1945, upon his return from serving during World War II. Mrs. Steffa was a superb cook and baker, particularly of ethnic Albanian and Greek dishes and pastries, using recipes brought over from the old country, and taught to her by her grandmother and mother. She also learned cake decorating, and how to work with chocolate and marzipan, selling her fancy wares under the “Andi’s Candies” private label. As an outgrowth of being a chocolatier, Mrs. Steffa was employed by Asher’s Candies to personalize their Easter eggs in the weeks before Easter, first at Wanamaker’s and then for more than twenty years at Strawbridge & Clothier’s Food Court. Mrs. Steffa was predeceased in death by her parents Michael G. and Polixeni Paphingi Ticco and siblings, John M., Milton M., and Martha W. Tzetzo. Mrs. Steffa’s funeral service will be held at 11:30 a.m. Monday, February 27th, at Annunciation/Evangelismos Greek Orthodox Church, 7921 Old York Road, Elkins Park, PA 19027, preceded by a viewing at the church beginning at 9:30 a.m. Interment will follow at Lawnview Cemetery in Rockledge, PA.
Memorial donations may be made to the “Orthodox Christian Mission Center - Albania,” Orthodox Christian Mission Center, 220 Mason Manatee Way, St Augustine, FL 32086-9908 and/or the Kiwanis Club of Jenkins, KY, Inc., PO Box 509, Jenkins, KY 41537. Former Mayor of Morton. The Honorable Philip “Flip” Kosta, cherished husband, beloved father, and former Mayor of Morton, fell asleep in the Lord peacefully at home on Thursday, January 19, 2017, after a long illness. Phil was 78 years old, and is survived by his best friend and wife of 46 years, Linda (nee Walton). Born in Philadelphia, on September 7, 1938, to the late Marika and Petro Kosta, who were immigrants from Albania, Phil grew up in West Philadelphia and was a 1957 graduate of West Philadelphia High School. Phil, along with his brother, owned Hills Hardware in Folsom and Kosta’s My Brother’s Place in Holmes, PA. Phil, however, found his real passion in local politics, serving on the Morton Borough Council from 1988-1992 and as Mayor of Morton for 17 years, retiring from service in 2009. Phil was a life-long member of St. John Chrysostom Albanian Orthodox Church in Philadelphia. Phil was a loyal and loving father to Paula Kosta, Lisa (Kosta) Bowser and her husband Neal Bowser, Larry Kosta, the late Peter Kosta, and Stephanie Kosta and her husband Thomas Highland; and a treasured Poppy to Drew, Kevin, Cassidy, Bridget, Ryan, Jimmy, Olivia, and Vivian. Phil was predeceased by his siblings, Paul Kosta, Gus Kosta, and Eftilia Petro. Calling hours and funeral will be held Saturday, January 21 at St. John Chrysostom Church, 237 N. 17th St., Philadelphia, PA 19103. Friends and family may call 9:30 to 11:00 AM. Services will be at 11:00 AM. Interment at Fernwood Cemetery in Yeadon, PA. In lieu of flowers, kindly make donations in his memory to St. John Chrysostom Albanian Orthodox Church in Philadelphia, 237 N. 17th St. Philadelphia, PA 19103. May Philip's memory be eternal. Fell asleep in The Lord on December 27th, 2016, at 3:33 p.m. He was 79 years old. Both the viewing and funeral will be at Sts. Peter & Paul Orthodox Church, Friday, December 30. Viewing at 9:00. Funeral Service at 10:00. In lieu of flowers, please make all donations to Sts. Peter & Paul Orthodox Church. Repose of longtime parishioner +Rosemary Notskas, beloved mother of Michele McQuillan, Stephanie Sarkissian, and Pamela Fisher. +Rosemary was blessed to have six grandchildren. Arrangements are: Viewing Wednesday, 10:00 am at St. John Chrysostom Albanian Orthodox Church, 237 N. 17th Street, Philadelphia, PA 19103. Funeral Service @ 11:00 am at St. John Chrysostom. Interment following the funeral service at Fernwood Cemetery, 6500 Baltimore Ave, Lansdowne, PA 19050. The family has requested in lieu of flowers donations be made to St. John Chrysostom Albanian Orthodox Church, in +Rosemary's memory. Father of our Sunday School Director, Steve Coraluzzi, father-in law of Diane and grandfather of Adam and Michele. Viewing and Funeral mass at St. Pius X Church, 220 Lawrence Rd, Broomall, PA 19008, Friday 4/22: Viewing 9:00 am to 10:30 am Mass at 10:30 am. Burial will be at our Lady of Grace Cemetery, Longhorn, PA.
Beloved husband of Diane (nee Douris). Loving father of Louis T. Mallios, the Hon. Christopher Mallios (William McNett), Paulette Mallios Callas (Christopher) and Leslie Mallios Contoudis (James). Cherished Pop-Pop of Tori, Christopher, John, Theo and James. Devoted brother of Harry C. Mallios (Marion), Jennie Sapnas, Dolores Mallios and the late Eleanor Zoidis; also survived by many nieces, nephews and cousins. Relatives and friends are invited to Pete's Viewing and Funeral Thursday, April 7, 2016 at St. John Chrysostom Albanian Orthodox Church, 237 N. 17th St., Phila., PA 19103 where guests may call from 9:30 to 11 A.M. Funeral Services Interment Lawnview Cemetery, Rockledge. In lieu of flowers, donations in Pete's memory to the above named church or to The Alzheimers Association, 399 Market St., Suite 102., Phila., PA 19106 would be appreciated. Age 87, Cherry Hill, NJ. Beloved wife of the late William L. Mitrocsak. Loving mother of Bill Mitrocsak (Linda) of Skippack, PA; Robert Mitrocsak (Chong Suk) of Hanover, MD; Nancy Mitrocsak of Plainsboro, NJ and Janet Mitrocsak of Ocean City, NJ. Loving grandmother of Stephen Mitrocsak; Trisha Favre (Sebastian); Andrew Mitrocsak, Nandor Mitrocsak (Nicole), Julia Moore (Jordan), Nicholas Mitrocsak and James Mitrocsak. Devoted great grandmother of Jackson and Jacy June. Viewing Sunday, January 10: 7 to 9 P.M. in the SCHETTER FUNERAL HOME 304 W. Marlton Pike, Cherry Hill, NJ 08002. Mass of Christian Burial Monday 3 P.M. in Christ Our Light RC Church, 402 N. Kings Highway, Cherry Hill, NJ 08034. Interment private. Please visit schetterfh.com to share your condolences with the family. Beloved wife of the late Llambi. Mother of Gloria Foglia, Andrew (Edna), and the late Christina. Grandmother of 4, and great grandmother of 4. Her funeral service will be 11am Thursday, January 7, at St. Peter & St. Paul Albanian Orthodox Church, 9230 Old Bustleton Ave, Philadelphia, Pa 19115. Viewing; one hour prior to service in the church. Interment; Fernwood Cemetery. In Lieu of flowers memorial contributions may be made to the church. Of Auburndale, formerly of Framingham, Dec. 8, 2015. Beloved wife of the late John Croke and loving and devoted mother of Linda Biando and her husband David of Philadelphia, PA and Vicki Croke and her partner Christen Goguen of Newton. Devoted grandmother of John and his wife Pamela Roy and Charles and Andrew Biando. Sister of William Cotto of Holliston, Richard Cotto of Framingham, Roger Cotto of Hopkinton and the late Jenny (Cotto) Mulkern and Violet Cotto. Also survived by many nieces and nephews. Funeral Service will be held Saturday, Dec. 12, at the Annunciation Church, 37 Washington St., Natick, MA, at 10 a.m. Relatives and friends are respectfully invited to attend and may visit prior to service from 9-10 a.m. Expressions of sympathy may be made in Mary's memory to the Annunciation Church. Arrangements by Laughlin, Nichols & Pennacchio Funeral Home, HYDE PARK. Mother of Nikoleta Prifti, Luiza Salavaci and Zisi Kashari. The viewing will be Saturday, October 17, 2015 10:00 am followed by the funeral service at 11:00 am, at St. John Chrysostom Albanian Orthodox Church, 237 N. 17th Street, Phila. PA.
Interment will be at Fernwood Cemetery following the funeral service. May we always remember Jorgjia's beautiful smile and may her Memory be Eternal! Florence died surrounded by her loving daughters in Morristown, NJ. She was born, July 4, 1927, in Philadelphia PA, the youngest daughter of Andrew and Persophone (Bessie) Hassis. Throughout her life, Florence never let her illness with Alzheimer’s dim her love of her Albanian heritage, her Orthodox faith, her family and her friends. She was a lifelong resident of Philadelphia and Southampton, Pa., married to William V. Vissar and a longtime employee of the Centennial School District. Florence was a devoted parishioner of St. John Chrysostom Albanian Orthodox Church in Philadelphia, PA. and was awarded the congregation's highest honor, the St. George medal, for her years of support and participation in church life. Florence's greatest joy — and her greatest strength — came from the lift and support she gave to others. Florence's husband died in 1982. She is survived by her daughters Kathleen Vissar, of Philadelphia, Wendy Vissar (Michael Slackman), of Morristown, and Victoria (Scott) Day, of Hermon, New York. She is also survived by two loving grandsons, Sam and Nikolas Slackman, a niece Susan (Enik) Mandia, and nephews, Francis X. Hassis, Dennis (Rochelle) Hassis, and Kenneth Hassis. A celebration of Florence's life will be held at Saint John Chrysostom Albanian Orthodox Church April 3, 2015 at 10:00a.m with a funeral service at 11:00a.m. 237 North 17th Street,Philadelphia. In lieu of flowers, donations in Florence's name may go to St. John's Chrysostom Albanian Orthodox Church. 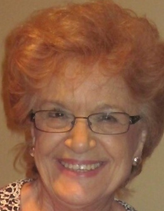 Annie Julia Dimitri of Philadelphia passed away Wednesday, March 25, 2015 at her residence. She was 84 yrs old. She was born in Worcester, MA and was a resident of Phila. for 65 yrs. She enjoyed making memories with her friend Caye at Nativity BVM. Annie was preceded in death by her Husband Michael C. Dimitri. She is survived by her children Deborah Monaghan (John), Helen Dimitri-Kerns, Michael Christo Dimitri Jr., and Cynthia Rizzo (David). Also survived by her brother Piro Spiro (Betty) and 9 grandchildren and 7 great-grandchildren. She was preceded in death by her son David M. Dimitri and grandson Michael C. Dimitri III. In Lieu of flowers, memorials in her memory may be made to the American Cancer Society, P.O. Box 22718, Oklahoma City, OK 73123-1718. Visitation Tuesday, March 31st, 12:00 - 1:00 pm, Tomlinson Funeral Home, 2207 Bristol Pike, Bensalem, PA 19020. Funeral service at 1:00 pm. Age 82. Beloved husband of the late Mary S. (nee Satir). Loving father of Barbara A. Ames (Evan) and Ted E. Douris (Wendy). Also survived by 5 loving grandchildren; 2 great grandchildren and his sister Diane Mallios (Peter). Funeral Liturgy was at St. John Chrysostom Albanian Orthodox Church, 237 N. 17th St., Phila. PA 19103. Internment: Lawnview Cemetery. Nancy Gregory was born in 1941 and enjoyed a happy life in her early years living with her three brothers and her mother and father until she met Ted Gregory in July 1962. Nancy and Ted were married in December 1962. Since that time they moved quickly and never stopped. She began her marriage with a strong love that endured for 52+ years. From the beginning, she displayed artistic talent which she began to cultivate by enrolling in art classes at Akron University. Soon after Nancy and Ted married, they moved to France. She loved every day of her time in France, learning basic French as well as excelling at cooking. Upon returning to the US, and when children entered her life in 1965 and 1968, she postponed the development of her artistic talents in favor of raising her two sons. After the two boys reached their middle teens, she resumed her education, entering the University of Delaware to continue the development of her artistic talents, and in preparation for a career as an educator. She graduated with a BA in Art History and Education. She later earned a Masters degree in Education. She began her career teaching third-grade at Warner Elementary School, a city school in Wilmington Delaware. She also taught fifth grade later on in her career. She was dedicated to improving the lives of her inner city students, and she felt love for the many students for whom she had a positive impact. She felt like she made a difference in the lives of many of these disadvantaged students, and this feeling helped keep her a dynamic force in the classroom. She received many notes and gifts from her students, often, long after the student had left Warner Elementary. Despite her success, after 15 years in the classroom, she began to think about a change, and when Ted retired in 1998 she decided to retire in 1999. Nancy loved to travel, having lived in France with Ted, and having traveled with Ted to Japan, Hong Kong, Macau, China, Thailand, France, Denmark, Germany, Greece, Italy, Spain, Portugal, England, Martinique, Puerto Rico, St. Thomas, St. Martins, Switzerland, Canada, Panama, Mexico, Albania, Hawaii and Albania. One of her favorite vacation places was Saipan. This is not only because her son Matt was there, but also because of the great golf courses there. She once made a shot on a spectacular Greg Norman golf course, a par three about 150 yards across a chasm above the Pacific Ocean. Nancy put the ball on the green with Tee shot. She didn’t always play this well but she did remember this shot in particular, and she loved playing. She belonged to Dupont CC, Stone Harbor CC, Shadowood CC and she also loved to play other courses. She also enjoyed her membership at the Stone Harbor Yacht Club. Nancy loved music, particularly the Beatles and Motown and she also loved classical. In particular, she loved Pavarotti and went to New York City to hear him. Nancy also loved the seashore. She and Ted spent many a weekend at their beach house in Avalon with their children. After her sons graduated from college and entered law school, Nancy and Ted made the beach house their primary residence and spent summers there while spending the cold winter months at their house in Bonita Springs, Florida. Grandchildren Amelia and Hayden arrived, and they too spent summers at the beach and enjoyed trips to Bonita Springs. Nancy loved children, both in her professional life and at home. At any family gathering or party, she could be found in the basement playing ping-pong or board games with all the children. With 28 neices and nephews, this was no small feat. Nancy grew especially close to her grandchildren, and she and Ted spent countless hours playing Monopoly, Dominoes, Crazy-Eights and other games with them. Nancy was a competitor, and whether it was golf, tennis, ping-pong, Bridge or Monopoly, she was in it to win it. Ever gracious and a good sport, Nancy was also very quick with a verbal zinger which was always good for a laugh. While playing any game, she enjoyed trading barbs and zingers with her competitors, and was usually the life of the party as well. She passed away peacefully at home in February leaving her husband Ted, her sons Mark and Matthew and three brothers. The funeral service will be held at 11am at St. John’s Orthodox Church on Friday, March 6. A viewing will be held from 10 a.m. to 11am in church. In lieu of flowers memorial contributions may be made to the American Cancer Society. Katherine was the first-born child of Ermione and Christopher Gregory from Korce, Albania. Their hope was for their children to be born in America; and their wish was granted when Katherine was born shortly after their boat arrived in America. Katherine grew up in Uniontown, Pennsylvania where she went to her parents’ flower shop after school every day and she was known to frequent the State Theatre and Metzler’s department store often on both the trip to and from the family store. She was an avid reader and claimed to have read the entire contents of the Uniontown Library from A to the letter Q. Daydreaming about Frank Sinatra and Ronald Colman prevented her from reaching “R”. She quit her job at the gas company and accompanied by her friend Marian Laski struck out on their own to Philadelphia without money, a place to live, or any job prospects. This modern girl quickly fell in love with the city. She joined the Daughters of Penelope, eventually graduated from a room at the YWCA to an actual apartment, and landed a job at the Veteran’s Administration. There, she met a young man named Jerry Kane who she thought slightly resembled Frank Sinatra. Katherine and Jerrold soon married in 1955 immediately before Jerry entered the police academy. Katherine deeply loved and was very proud of her husband of 59 years who was a decorated Inspector of the Philadelphia Police Department, serving the department for over 44 years and working in the homicide division for over twenty years, primarily as the Commanding Officer. After her children were old enough to go to school, Katherine returned to work for the Philadelphia School District, cheerfully working in some of the most dangerous neighborhoods in the city. She was transferred, not at her request, for one year to George Washington High School and actually appears in her son’s high school yearbook. In her later years Katherine was a TCM addict who enjoyed recognizing the stars of her misspent youth as well as continuing her reading habit. Katherine remained an incredibly vigorous and active woman, gaining most of her exercise in grocery stores and the hallways of various shopping malls along the Eastern seaboard of the U.S. She often recuperated between these strenuous workouts in assorted movie theaters. Besides her friends and church, Katherine enjoyed trips to Europe and Florida with her family (except for the packing and cleaning part). George has been a parishioner of St. John Chrysostom the majority of his life – going on 80 years! He admits he was not very active for a portion of that time, but since 1998 he’s been going full steam. Approximately 12 years ago George was a member of “the retired guys club”, a group of retirees who dedicated a great deal of time and energy to renovating the parish office and Sunday school. In addition to being part of the club, George went a step further and created a “tool room” which he stocked with many of his own tools. Over the years the tool room has been a valuable resource for our parish. Attending the Divine Liturgy each and every Sunday is the norm for our George. He receives Communion faithfully and is always there to assist with the task at hand. Each Sunday he greets our parishioners with a smile, handshake and hug. He cuts the Mesh and takes the Nameday tray to the parishioners celebrating their Nameday, and at the end of the Divine Liturgy passes the contribution basket among the parishioners. After coffee hour and fellowship in our church hall George goes down to the office and assists with the “bookkeeping”. He counts the money collected, prepares a report and often times takes the money to the bank! He is at the church long after everyone has gone home. George is a very humble man, never seeking attention or praise for the work he does. A few years ago George battled lung cancer and after successful surgery came back as strong as ever. He never complains about his own difficulties but is very willing to lend an ear and helping hand to anyone in need. At our September 18, 2012, Parish Council Meeting we unanimously agreed that George Touros’ extraordinary service to Saint John Chrysostom Albanian Orthodox Church make him most Worthy to receive The Herald of Saint Constantine and Saint Helena. Very long time parishioner of St. Johns. Beloved wife of the late Michael. Loving mother of Sophia (Clive) Miller and Chris. Devoted grandmother of Dhimitri Miller. Interment Fernwood Cemetery. December 18. He was a teacher in Bucks County. He was a world war II veteran and wounded three times. He lived most of his life in Holland PA.
Gregory Bendo, 49, on December 9, 2013. Predeceased by his parents Pascal and Sophie. Survived by his sister Michele Winston (Steve), nephews Jonathon and Jordan, as well as many uncles, aunts, cousins and friends. His funeral service will be 11 A.M. Fri. December 13 at the VRAIM FUNERAL HOME, 66 So. State Road, Upper Darby PA. Viewing one hour prior to service in the funeral home. Int. Fernwood Cemetery. Dec 1, 2013, age 91. Beloved wife of the late Trevor Wyatt Moore. Loving Mother of Marci Ann (Roland) Paolucci, Trevor "Dunstan", Gregory (Susan), John (Jacqueline), Veronica, David (Susan), Martha "Liz" (Kevin) Bligan, Francesca (Thomas) Giansante, and Peter (Sharon). Devoted grandmother of 19 and great grandmother of 10. Her Funeral Service will be 11 A.M. Thursday, Dec.5, at St. John Chrysostom Albanian Orthodox Church 237 N. 17th St. Phila. Viewing 9:30 to 11 A.M. prior to Service in the church. Interment, Valley Forge Memorial Gardens. In lieu of flowers memorial contributions may be made to the Church. Monday, Nov. 18, 2013, at Abington Hospice in Warminster. He was 90. Born in Philadelphia, he was the son of the late Savis and Eudoxia 'Edith' Soulis Douris. He was a longtime resident of Warminster. Mr. Douris was a retired steamfitter and member of Steamfitters Local 420 in Philadelphia. Angelo was an U.S. Army veteran of World War II. He served in Normandy, Northern France, the Rhineland and the Ardennes. Angelo received two Purple Hearts. He was a member of V.F.W. Post 6493 in Warminster. Angelo was very family-oriented and loved spending time with his grandsons. He was an avid sports fan, and enjoyed fishing. Angelo was the beloved husband of Cecelia Koutras Douris for 56 years before her death in 2006. He was the devoted father of Diane Damm (Bruce) of Warrington, and the late Jeffrey Douris. He was the loving grandfather of Nicholas, Eric (Missy) and Alex Damm. He also is survived by his brother, John Douris, and his sister, Helen Wolfe. Relatives and friends are invited to call from 7 to 9 p.m. Thursday, and from 10 to 11 a.m. Friday, at Lamb Funeral Home, 101 Byberry Road, Huntingdon Valley, where his service will be at 11 a.m. Friday. The interment will follow in Sunset Memorial Park in Feasterville. Passed away August 27, 2013, in her home after a 16 year battle with Alzheimers. Katherine was a lifelong resident of Philadelphia, an artist, an educator and contributor to charitable causes. Katherine was a graduate of West Chester College (1954) and Girls High School of Philadelphia (1951). She was cared for at home by her devoted husband of 57 years, Tom Zoidis. Katherine is survived by daughter, Jane Zoidis Quinn (Kevin) of Short Hills, NJ; sons, Greg (Susan) of Minneapolis, Paul (Aleta) of Westfield, NJ, and Mark of Berkeley, CA; and 9 grandchildren. She is preceded in death by her sister, Barbara Clayton; brother, Louis Steffa and parents, John and Helen Steffa. Family and friends are invited to Katherine's Life Celebration Tuesday, after 7 P.M., from CRAFT/GIVNISH OF ABINGTON, 1801 Old York at Old Welsh Rds., Abington PA 19001, and Wednesday, after 10 A.M., from The Church of the Annunciation, 7921 Old York Road, Elkins Park PA 19027. Her Funeral Service will follow at 11 A.M., Wednesday, at Church. Interment Forest Hills Cem. In lieu of flowers, the family request donations be made to St. John Albanian Orthodox Church, 237 North 17th Street, Phila. PA 19103. August 15, 2013. Beloved wife of the late Thomas "Naum" Loving mother of John (Virginia), William, Sophie Harrington, Chirs. Devoted grand mother of Fr. Gregory (Sharon), Diane, Fr. Deacon Andrew (Ekatrina), Paul and John, and great grandmother of 6. Her Funeral Service will be 11 A.M. Monday at St. John Chrysostom Albanian Orthodox Church, 237 N. 17th St., Phila. Viewing one hour prior to Service in the church. Inter-ment Fernwood Cemetery. In lieu of flowers, memorial contributions may be made to the church or St. Peter and St. Paul Albanian Orthodox Church 9230 Old Bustleton Ave, Phila. VRAIM FUNERAL HOME, INC.
Maria Papinghi was born on January 4, 1923 and passed away on Sunday, July 28, 2013. Maria was a resident of Cochranville, Pennsylvania. LEGIDAKES, MARY R. (nee Detskas). Beloved wife of the late Dean. Sister of the late Thomas and Katherine Detskas. Loving aunt of Richard (Rosemary) Detskas and Judy (Kevin) Doyle. Her Funeral Service will be 10 A.M., Wednesday, at St. John Chrysostom Albanian Orthodox Church, 237 N. 17th St., Phila. Viewing one hour prior to Service in the Church. Int. private. In lieu of flowers, memorial contributions may be made to the Church. VRISIDHA "MARY" D., on April 9, 2013. Beloved wife of the late Minella; devoted mother of Thomas (Betsy), Louis (Missy), Juliana Efessiou (Christos), Jeannette Cutshaw (Robert), and the late Dorothy; grandmother of 11, great grandmother of 14. 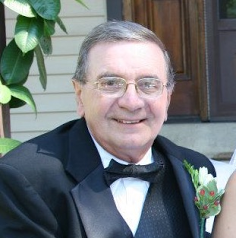 Nicholas Naum of Cherry Hill, NJ died Sunday, March 31, 2013. He was 90. Beloved husband for 40 years to the late Gertrude (nee Fulgowski). Loving brother of George Naum (Claire) of Auburn, ME; Althea Austin (Earl) of Auburn, ME and Catherine Akerley (the late Russell) of Media, PA. Nick is also survived by 10 nieces and nephews and by many great and great great nieces and nephews. Visitation Friday morning 10 to 10:45am in the Schetter Funeral Home, 304 W. Marlton Pike, Cherry Hill, NJ 08002. Funeral service Friday 11am. Interment will take place in Mt. Auburn Cemetery, Auburn, ME. In lieu of flowers contributions in his memory may be made to St. John Chrysotom Albanian Orthodox Church, 237 North 17th Street, Philadelphia, PA 19103. Please visit www.schetterfh.com to share your condolences with the family. Loving Father and Loving Son Peter Philip Kosta, of Morton, PA, 40, passed away suddenly on December 18, 2012. He was the son of the Honorable Philip Kosta and Linda Kosta of Morton, PA, and is survived by his son James "Jimmy" Lawson Kosta. Born in Philadelphia, on April 26, 1972, Peter was a 1991 graduate of Springfield High School, and attended Virginia Wesleyan College and The University of Idaho. He left his studies to become an entrepreneur - opening Cornerstone Pizza in Prospect Park, and Cornerstone Pizza in Springfield. After rehabilitating from a very serious car accident in 2001, Peter worked for New York Life. He was a very active and life-long member of St. John Chrysostom Albanian Orthodox Church in Philadelphia. Peter's most treasured role was that of father to Jimmy. He was devoted son and brother, and a great friend to many. Survived by his parents and son; siblings Paula Kosta, Lisa (Kosta) Bowser and her husband Neal Bowser, Larry Kosta, and Stephanie Kosta and her husband Thomas Highland; loving nieces and nephews Drew, Kevin, Cassidy, Bridget, Ryan, Olivia, and Vivian. Calling hours and funeral will be held Saturday December 22, 2012 at St. John Chrysostom Church, 237 N. 17th St., Philadelphia, PA 19103. Friends and family may call 9:30 to 11:30 AM. Services will be at 11:30 AM. Interment at Fernwood Cemetery in Yeadon, PA. As Peter requested, in lieu of flowers, kindly make donations in his memory to St. John Chrysostom Albanian Orthodox Church in Philadelphia, 237 N. 17th St. Philadelphia, PA 19103. May Peter's memory be eternal. Join our St. Johns Weekly Messenger Mailing List.